The Unmanned Aircraft Systems (UAS) Advisory Board is a public-private organization of UAS professionals serving as a unified voice for legislative advocacy, networking, education and outreach in support of UAS. 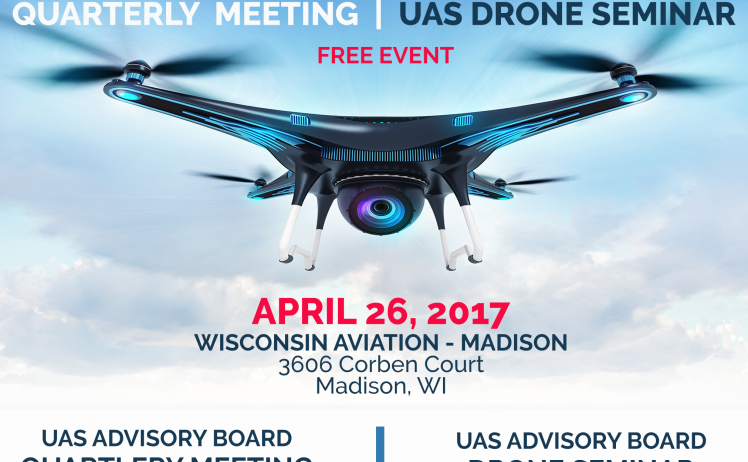 UAB-WI is holding its quarterly meeting at Wisconsin Aviation in Madions on April 26th. Menet Aero CEO Peter Menet serves as the Vice President of the UAB-WI and will be present to network and share thoughts and insights about the UAS industry. This meeting is open to the public. If you plan to attend, please advise us using the form here.